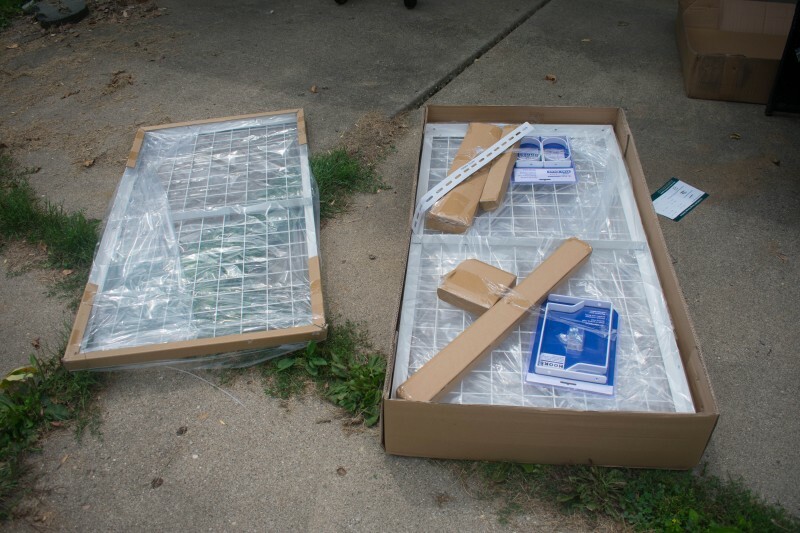 I was sent a Fleximount overhead garage storage rack for review. All opinions are my own. I was really excited to finally have a garage when we moved here about three years ago. A “normal” place for Ryan to store his tools, the ability to park inside and avoid scraping our windshield on winter mornings. It was also nice to have a place for storing things like Christmas ornaments and off-season clothing. 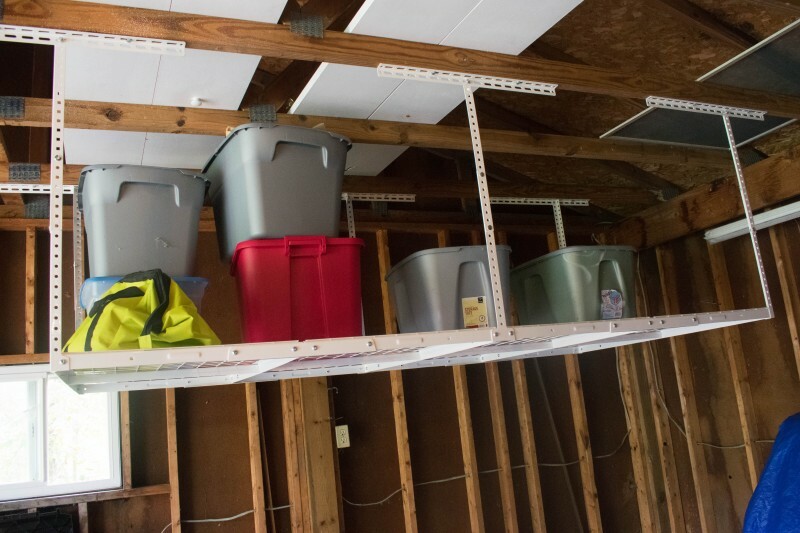 We moved plastic totes of items to the garage as soon as we moved in. However, it’s a bit of a bummer to have one corner full of stacked up totes. 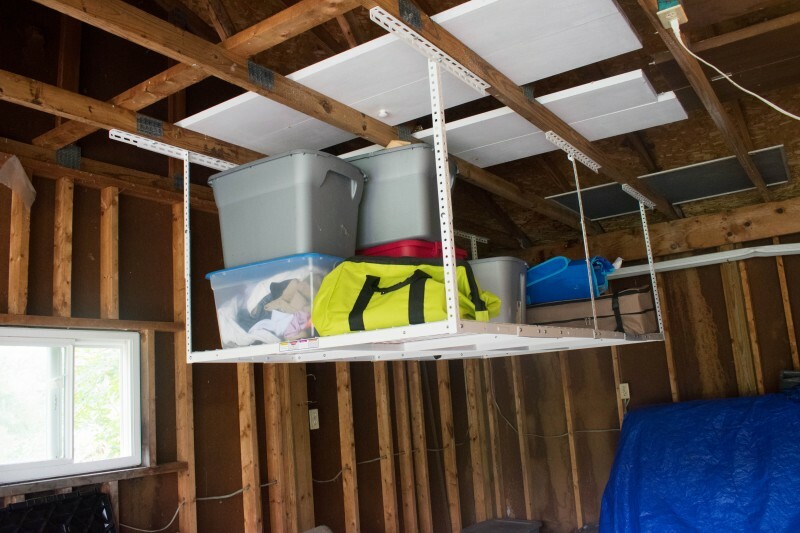 I was excited to give Fleximounts overhead garage storage racks a try. 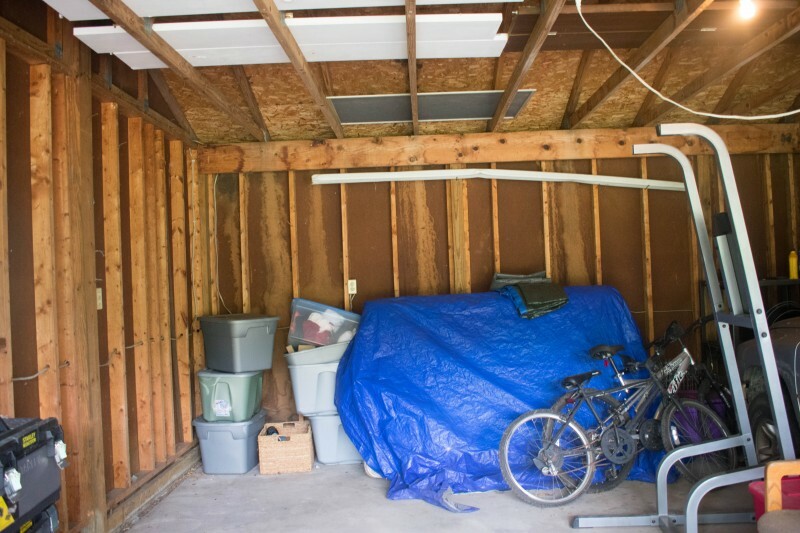 Fleximounts makes a variety of storage solutions from garage wall shelves to TV stands and overhead storage racks. Their storage racks come in several sizes and colors. We opted for the 4X8 overhead rack in white. The 4×8 measurement is for the floor of the rack. The length of the arms that hold the rack can be adjusted in height. We opted to leave ours with the arms adjusted to a longer length, so that we could stack totes two high if we wanted. This leaves the rack just a bit more than 5′ from the ground, so it hangs lower than usual. However, we have a two-car garage so we can afford to let it take up that airspace, as we won’t be driving a vehicle under it anyway. Assembly on this took Ryan a long time because we somehow lost our socket wrench, so tightening each piece took a really long time. It was pretty easy to figure out though. We haven’t yet added some hooks that go under the rack which can hang more items for storage. In total, this can really store a lot of stuff! All of the totes that we have only fill this rack about halfway. Even though we had items stored in plastic totes with lids, I feel a bit better having our belongings up off the floor. Our garage was left unfinished. There is no real ceiling, just the boards that run across. We were able to install the storage rack without an issue. You could also install the rack on a finished ceiling though, by finding the studs. The rack can hold up to 550lbs! I’m grateful for the added space and organization that our Fleximount garage storage rack provides. This is without us adding on the hooks underneath, too! We plan to add those we just haven’t gotten there yet. I also like how we have the freedom to adjust the height if we were to decide we didn’t want to stack totes two high, we could shorten it and gain more space underneath. I love overhead storage. It helps use what I consider wasted space. This looks like a nice system. My garage doesn’t have much extra room. This would be good to get things off the floor. These are nice! I am amazed it holds this much, tha i a whole lotta weight. 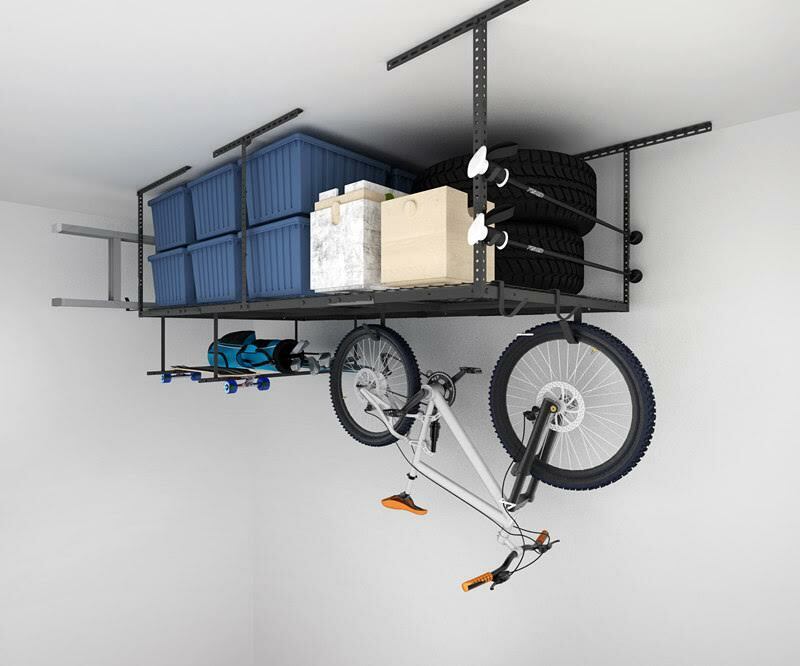 This would really free up some space especially hanging bikes and getting things above you rarely use. It looks nice too. I could really use this at my house. Clutter is taking up floor space where my car should be. I’m impressed it holds 550 lbs! I can use this in our garage everything is on the floor.